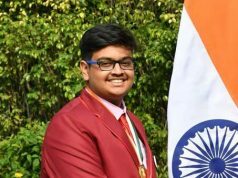 Bhubaneswar: “Properly developed skills, with the right attitude can lead the youth of today to become successful leaders of future. The students pursuing non-technical courses can also climb higher in professional ladder, if they are properly trained. The Skill Development & Incubation Centre jointly being developed by Navratna Company NALCO and Utkal University shall be the first-of-its-kind Skill Development and Incubation Center for the non-technical students and help youth of Odisha become job-ready,” said Dr. Tapan Kumar Chand, CMD, NALCO, while laying the foundation stone of Utkal University-NALCO Skill Development & Incubation Centre in the University premises today. Earlier this year, during NALCO’s Foundation Day celebrations, an MoU was signed between the aluminium major and Utkal University, in presence of Secretary Ministry of Mines, Govt of India, to take up collaborative projects under the Industry Institution Interaction programme. “This collaborative and cooperative initiative by the premier institutions of the State like NALCO and Utkal University shall be exemplary in the country. This will also provide the State’s youth an edge in the national and international market in terms of entrepreneurship and employability,” added Dr. Chand. This project is aimed at engaging the emerging entrepreneurs of the State and more specifically the post-graduate students of the University. The centre shall have an MoU with Hyderabad-based Incubation Business Hub, an undertaking of Govt. of India, to make this Incubation Centre a self-sufficient and well-managed skill development centre. Among others, Prof. A.K. Das, Vice Chancellor of Utkal University, Prof. B. Satapathy, Chairman, P.G. Council, Shri M.K. Biswal, Registrar Dr. Anil Kumar Swain, Head, Dept. of Commerce and Prof Jayanta Kumar Parida, Coordinator, Utkal University-NALCO projects were also present on the occasion. 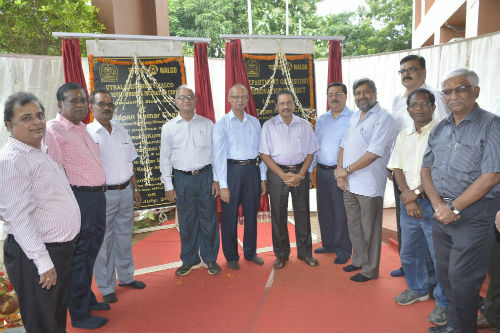 The foundation stone of the Renovation Project of Department of History, Utkal University was also laid down by Dr. Chand during this occasion.